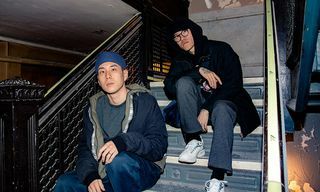 Building off their impressive Lunar Force 1 SP collab from last year, ACRONYM is back with yet another head-turning NikeLab project. 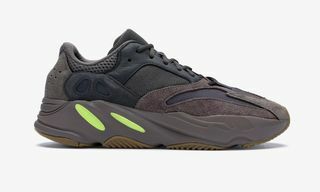 While we’ve seen detailed looks at the highly anticipated collaboration, this is by far our best look at the upcoming sneakers yet. 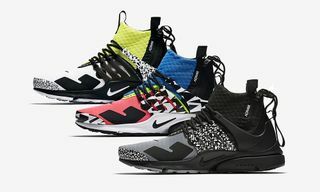 Known for their technical pieces, ACRONYM has reworked the Air Presto Mid alongside NikeLab in three killer colorways: Neon or Multicolored, Olive/Black, and Black/Bamboo. 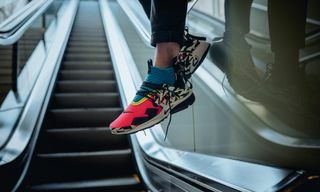 Proving that neon and/or color blocking never goes out of style, the multicolored pair is the definite standout from the pack – while the other two colorways are more aligned with the German brand’s usual choice for color palette. 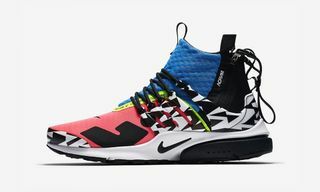 Additionally, the ACRONYM Air Presto Mids boast technical materials throughout as well as a waterproof zipper and collar construction. 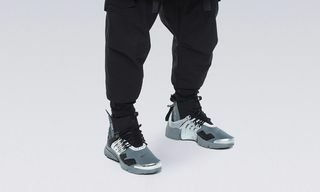 While the first pairs of the collaboration were sold at a pop-up in Berlin not long ago, you can expect the ACRONYM x NikeLab Air Presto Mids to arrive at your favorite boutique sneaker retailer sooner than later. Make sure you keep an eye out for release details, though, as this is shaping up to be one of the most secretive releases of the year.